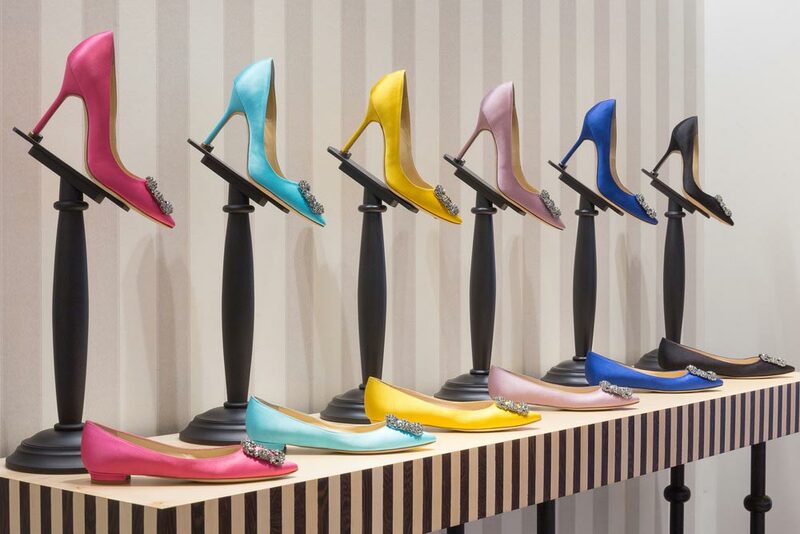 What a sweet confection of color, whimsy, and exquisite footwear! 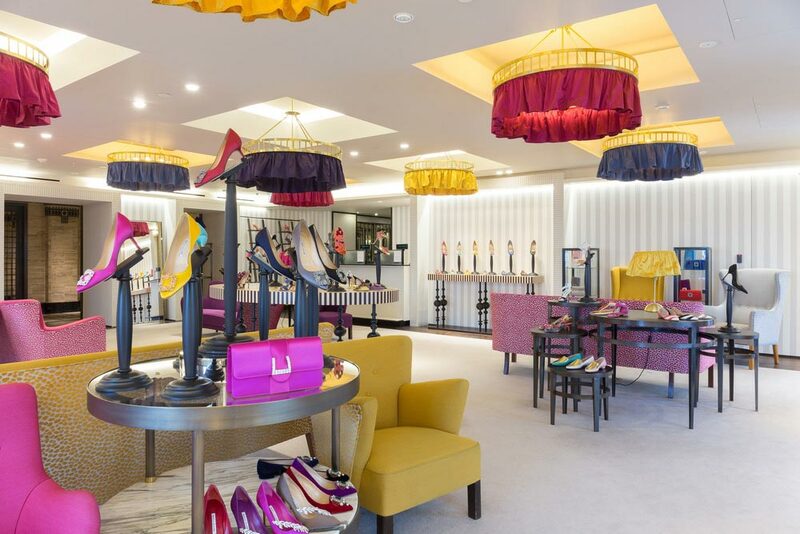 Nick Leith-Smith Architecture + Design had the, I am certain, distinct pleasure of working with Manolo Blahnik, once again, to design his boutique within Harrods. 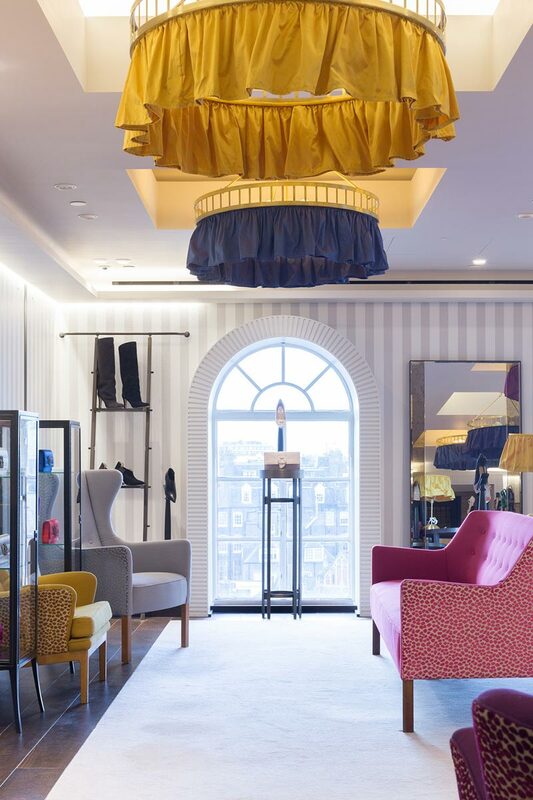 Inside the west tower of the historic store’s fifth floor “Shoe Heaven”, the grand salon has its own exclusive entrance and staircase. 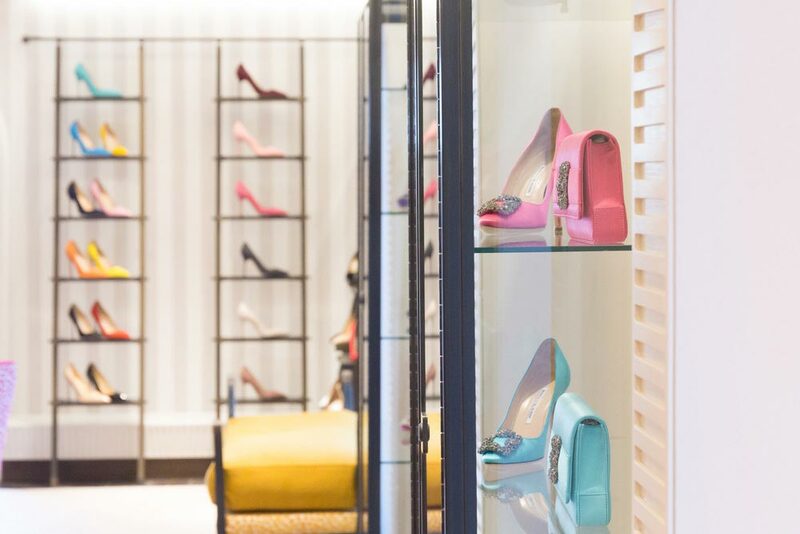 The boutique reflects Blahnik’s shoe designs in every way. Like his shoes, it is built on a stable and nearly unnoticed platform of fine structure, spacing, and light. Perfectly arched and rhythmically placed windows frame the delicate daylight. Geometry in the ceiling’s coffers creates a subtle and comforting order. 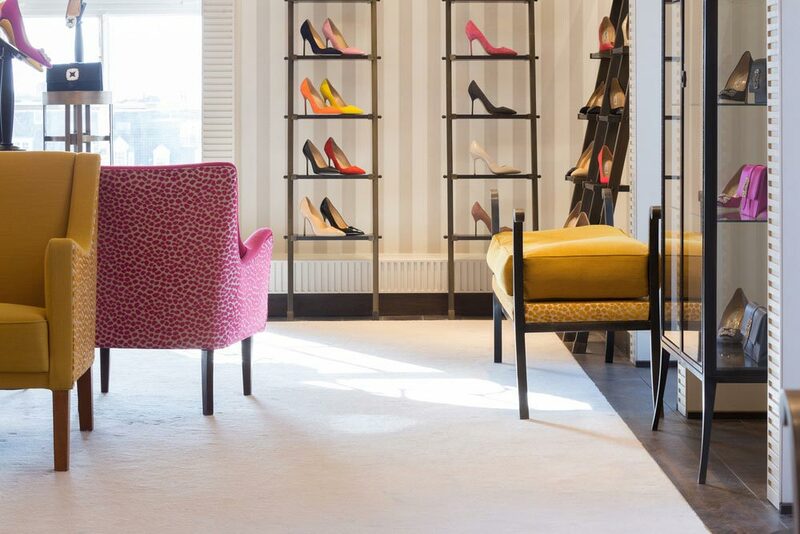 Generously sized seating is perfectly placed with ample room for lingering and shoe fitting. A foundation of deep toned wood floors wears a dense low cut ivory carpet. Vertical stripes of cream and dove grey push the ceiling higher. Then the details begin to be appreciated. Early and mid-nineteenth century Danish furnishings were originally collected by Blahnik himself. Now restored and reupholstered, the palette is as sophisticated as his shoes. The colors are ever-so-slightly modified to a level you won’t find elsewhere. Whether in freshly plucked plum or sea shell grey, the upholstered pieces are united by a delightful detail. The back and side arms of each piece is covered in a cut velvet fabric with matching colored spots.